It is no secret that essential oils offer a lot of benefits, from treating bruises and wounds to being an active ingredient in many beauty products. However, not many people know that some essential oils have natural abilities to repel insects, like mosquitoes. Gently, yet effectively, oils used in aromatherapy act as barriers for those pesky little bugs. 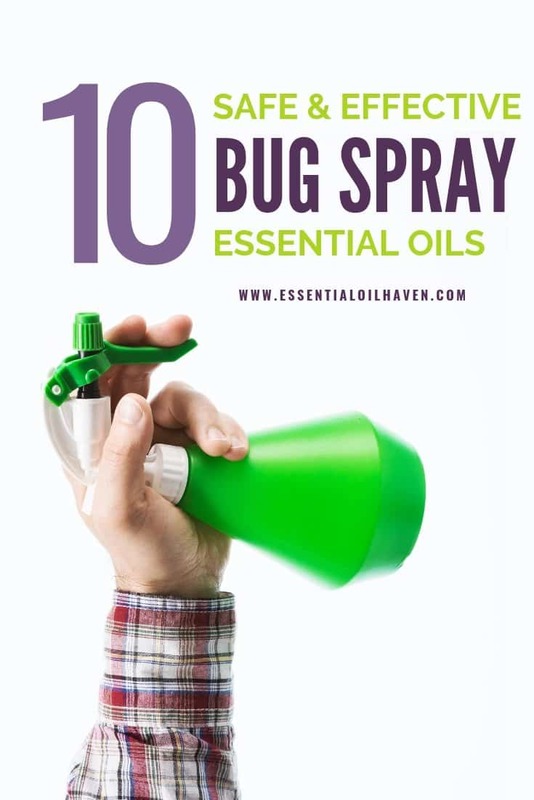 Essential oil insect repellent is a timely solution, then, as people have been hunting for natural bug repellents which don’t have any side effects. There are a couple of widely-used kinds of pure mosquito repellents, but several experts suggest that using essential oils based sprays as mosquito repellent is preferable compared to using commercially-endorsed brands. Not only is it cheaper, but you can tailor-make a bug spray to your exact needs and desires. 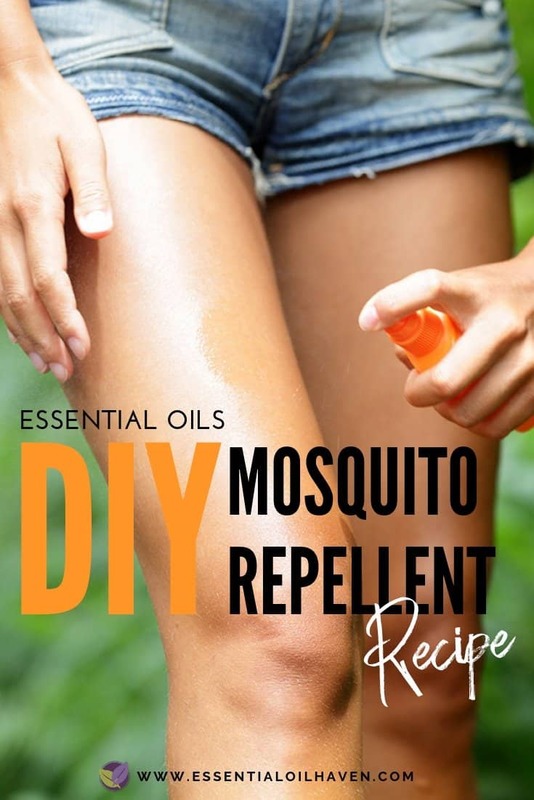 The most frequent all-natural mosquito repellent is the type that is made at home and composed of various essential oils, plus a base of witch hazel, vegetable glycerin and/or liquid vitamin E. You’ll find recipes further into this article. 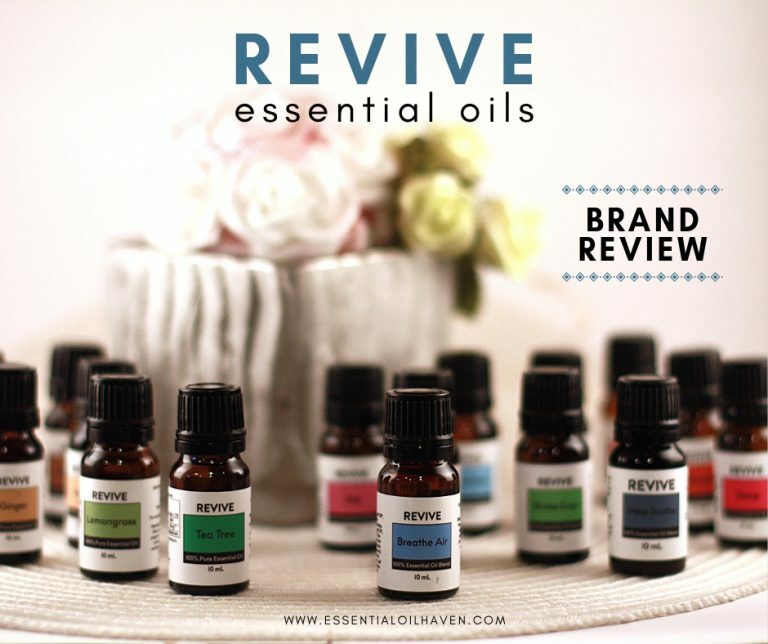 To start, I would really like to explain and highlight why essential oils are a great choice for a mosquito repellent, what risks you carry by using chemical products and sprays, and the health benefits you can reap by switching to an all-natural essential oils based choice. Why Use Natural Essential Oils for Mosquito Repellent? 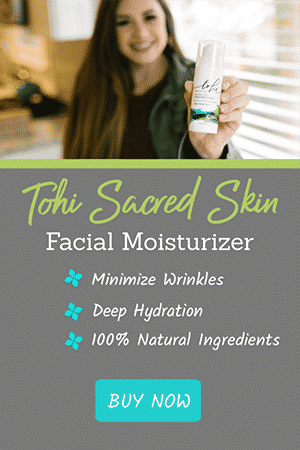 The human skin is a protective layer that stops infections and inflammations to cause internal complications directly; thus, proper care and attention should be given to promote healthy skin. Using products with synthetic chemicals as mosquito repellent may not be the best move if you want to protect your skin from any potential hazard. 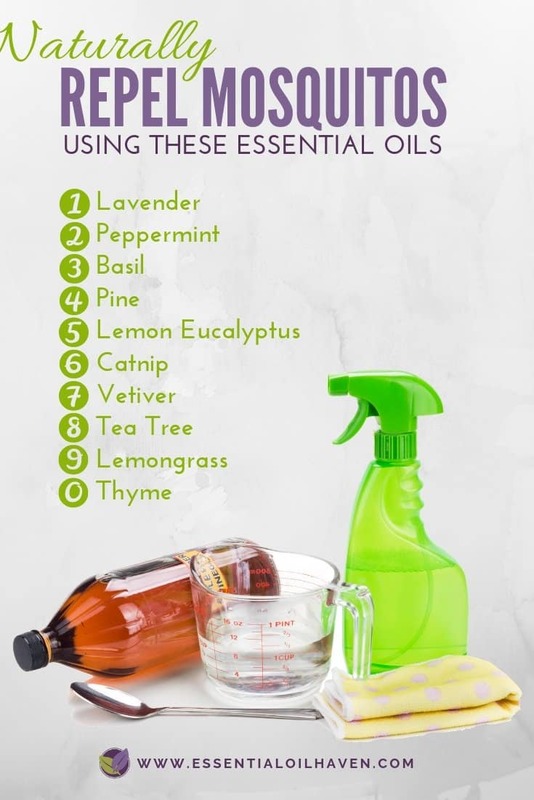 Using a natural repellent, such as essential oils, is a much safer method to repel insect bites without harmful side effects. Not many people prefer to use essential oils. This is quite understandable as synthetic insect repellent products are more convenient, not to mention that they are readily available in all leading drugstores. However, natural essential oils offer a lot of health benefits while keeping the nasty insect bites at bay. 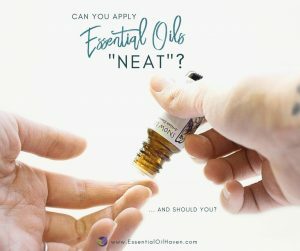 What makes essential oils a top choice when it comes to keeping insect bites away is the fact that they have fewer side effects. Unlike most traditional mosquito repellent products which contain N,N-Diethyl-3methylbenzamide or commonly known as DEET, essential oils are more natural and do not contain such chemicals. 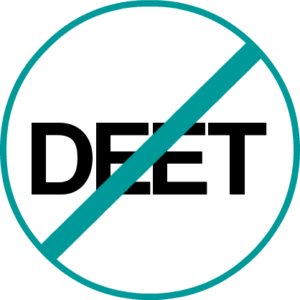 DEET is the active ingredient that is responsible for protecting your skin against insect bites. The downside is that it may negatively react to the other chemicals, which can make it more toxic. Also, excessive use of DEET is dangerous as it can harm the central nervous system of the human body. Hence, it is recommended to use products without DEET component. When it comes to the concern of skin sensitivity, essential oil users have nothing to worry about. Essential oils are free from harmful chemicals that can potentially cause skin allergies and other skin diseases. Essential oils do not contain parabens and petroleum, which usually irritate sensitive skin. 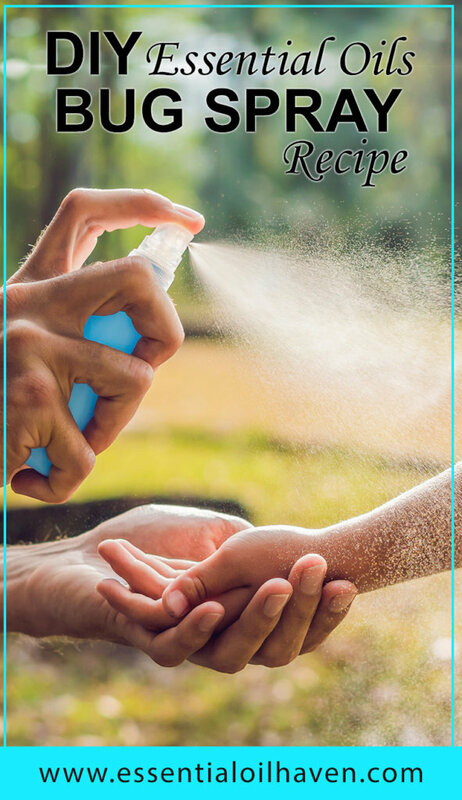 While there are a number of DEET-free repellents out there, they are still not as natural as using a DIY essential oil bug spray that you can easily make at home. Even DEET-free insect repellents consist of some toxins that are damaging for human consumption. They also frequently have to get used more liberally if you want to make sure you’re utilizing the correct amount for them to be effective. Overall, I’m just not a fan of spraying chemicals onto my skin, so I vote for natural essential oils mosquito repellent every time. Using a home made solution, I also know exactly what’s in it, and I don’t mind spraying and re-applying it as needed throughout the day. Lavender is best known for its positive effects in terms of relaxation and sleep, but what many people don’t know is that it is also an effective essential oil for bug bites and mosquito bites. Moreover, the distinct lavender scent can also be used as an alternative of mothballs to keep moths and other insects away. You can also spray the lavender oil to cleanse bruises, cuts, and wounds, as well as treat skin irritations. Out of all the essential oils, lavender is considered to be the most versatile oil as it offers a lot of other benefits. If you are worried about essential oils having strong smells, then you ought to try the peppermint oil instead. 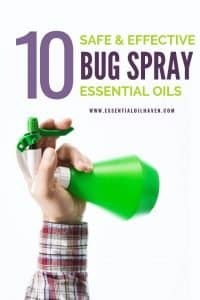 You can use this essential oil as an insect repellent while leaving your skin a minty and clean smell. Peppermint has a natural insect repellent property and the ability to relieve indigestion. Other benefits of peppermint oil include relief from colds and cough, headache, and sore muscles. It also improves your mental alertness while helping you feel less anxious and less stressed. Shop for pure, undiluted Peppermint oil here. Basil is not just a great addition to your mouth-watering recipes, but it is also a proven natural insect repellent. One study¹ revealed that basil contains high levels of larvicide. It is a type of insecticide which specifically targets the larvae stage of insects. This sweet and spicy smelling oil is commonly used in battling against mosquito bites. Are you obsessed with the distinct smell of pine? Then pine oil is the perfect match for you. Apparently, a group of scientists discovered the repellent effect of pine oils, especially against mosquito bites. Like other essential oils, pine oil is also proven to be more effective as compared to using the synthetic chemical repellents. You can get started with Pine here for about $7/bottle. This lemon-scented gum tree is a favorite insect repellent. The lemon eucalyptus’ oil, which is extracted from the leaves, is one example of prominent essential oils for mosquito bites. It also effectively protects the skin from tick bites and can last up to several hours. Tea tree extract is popular in the beauty industry as an antibacterial active ingredient to treat pimples and acne, but it does not stop there. Tea tree oil not only has an antifungal ability, but it can also protect and soothe painful bites from mosquitoes and bugs. The effectiveness of lemongrass as a mosquito repellent has been the subject of a lot of studies recently. It is because the lemongrass is highly associated to C. Nardus wherein the citronella mosquito repellent was derived. True enough, lemongrass oil also contains insecticidal properties that repel mosquitoes and other insects. If you don’t already have lemongrass in your medicine cabinet for other reasons (such as home cleaning), I’d definitely recommend adding this very versatile oil to your collection soon, for about $7. Mosquito bites can be irritating, especially if they keep on coming back, hoping to get a good taste of your skin. If you are looking for an efficient repellent to reduce mosquito activity but want it to be natural and safe, then Thyme oil is an excellent choice. A group of researchers in Ontario found that applying thyme oil on your skin discourages the mosquitoes from sticking around¹. While catnip is popularly used for commercial purposes and is something very addicting for cats, this perennial herb has proven to offer more than just house adornment and fresh minty smell. Catnip is also an excellent repellent for insects like mosquitoes and cockroaches. Up to this day, several studies have been conducted to unveil the mystery behind catnip’s repellent property. However, even though no concrete explanation has been released yet, some researchers can’t deny catnip essential oil’s impressive insect repellent property.Chris Peterson, an entomologist from Iowa State University, said that it is possible that catnip might merely act as an irritant or mosquitoes simply don’t like the smell, but catnip essential oil has an undeniable repellent ability that keeps the mosquitoes away. Fill a amber spray bottle (ca. $8) 1/2 full with distilled or boiled water. An amber bottle vs. a regular plastic one is much better for use with essential oils as it keeps your essential oils safe by protecting them from UV light. Plus, the glass is not affected by strong oils like citrus, whereas plastic reacts to citrus oils and it is not recommended to use citrus oils together with plastics. Add witch’s hazel (ca. $8 for 16 oz.) to fill almost to the top. Add 1/2 tsp vegetable glycerin (ca. $9 for 16 oz.). Add 30-50 drops of the essential oils listed above to achieve your desired scent. The more oils you use, the stronger your bug spray will be. Use your homemade essential oil bug spray as needed throughout the day. Tweak your mosquito repellent’s scent by playing with different combinations of essential oils – starting with something where you already have the oils at home. That’s always the most economical. Then order one or two additional oils to add to your stock and start making different blends. 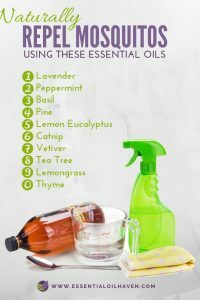 Essential oils are a natural method to repel bugs and insects, and using them is not going to result in harm to the human body or the surroundings. Oils are a popular choice, and some can repel ticks even if they don’t kill ticks. Recently, essential oils have become a staple in alternative medicine across the world. They are safe but are less effective than DEET sprays, so you will need to spray them again after a couple of hours. They are not only safe, but also have a pleasant smell which does not irritate the body. Organic essential organic oils are even more aromatic and fragrant, which can enhance the benefit of their therapeutic advantages. You have to be careful though, as some essential oils that could benefit humans or are soothing to humans, might not be true in dogs. If you opt to use oils, be certain to consult a veterinarian or other pet specialist before use. Read more about safe essential oils use around dogs here. Now, for those of you who love Young Living essential oils, I have done some research for you! There used to be a Young Living Insect Repellent product that resembled a lotion rather than a spray, and it came bottled for somewhere between $40-$50. It looks like this product is currently not distributed anymore as it shows Out of Stock on the YL website. If you have any or all of the above ingredients at home, try re-mixing this lotion on your own? I know I’ll be trying it this summer! DoTerra essential oils also has a popular blend, “TerraShield“, that acts as a natural, effective bug repellent and can be used by everyone in the family. While I couldn’t find exact quantities of the ingredients, I could still find the list of ingredients for you to use as a base of re-creating this potent solution. Now what do you do in case the insects have already successfully bitten your skin? Ouch! But don’t worry too much about it, there are ways to soothe the itchiness and treat these bug and mosquito bites. If the mosquito bite leaves a stinging sensation that makes you want to scratch it often, then try this natural mosquito itch recipe. The mixture of peppermint oil and tea tree oil can help relieve the discomfort. Just mix ten drops of peppermint and 10 drops of tea tree oil together into some carrier oil and apply it on the skin area with mosquito bites. The cooling sensation of the peppermint will take the itchiness out, and the anti-fungal property of the tea tree oil will help treat the bites. To stop the inflammation of mosquito bites from getting worse, you can apply a cold compress and the mixture of lavender and tea tree oil. Mix 1-2 drops of lavender and tea tree oil and rub the mixture on the compress. Apply it on the bites every hour or until the inflammation subsides. Although lavender essential oil is a bug repellent that actually treats insect bites, using it full strength may cause irritation, especially to children’s skin. So, to mellow down its effect, you can do a 50/50 mixture of lavender essential oil and olive oil instead. The olive oil offers a lot of skin benefits and is safe to use even on sensitive skin. It is only one option for a carrier oil, so if you think olive oil smells too strongly, try a different carrier oil such as coconut oil or jojoba. You can find full details on carrier oils here. Apple cider vinegar is used for much more than only to add a bit of sour taste to your vegetable salad. It is also possible to use this kitchen condiment to treat nasty mosquito bites. I’m not kidding. The acidic property of the apple cider vinegar is an excellent neutralizer to the stinging sensation caused by the insect bites. Put 2 ounces of apple cider vinegar with the lavender oil (15 drops) and lemon eucalyptus oil (10 drops) in a spray bottle. Shake the mixture well before applying it on the bites. When it has to do with essential oils, I think that the high quality and purity is of extreme importance. The essential oils act as homemade solutions to cure skin ailments and enhance the blood flow within the body. 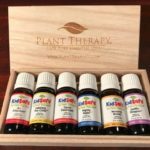 What’s more, you must choose essential oils appropriately based on the needs and at cost-effective charges for your various family requirements. Always make a decision that’s right for you and your family! Find the best essential oil brands here. 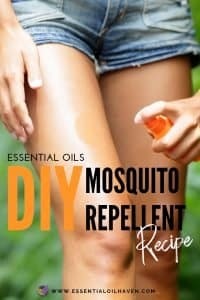 What do you think about using essential oils as a mosquito repellent? 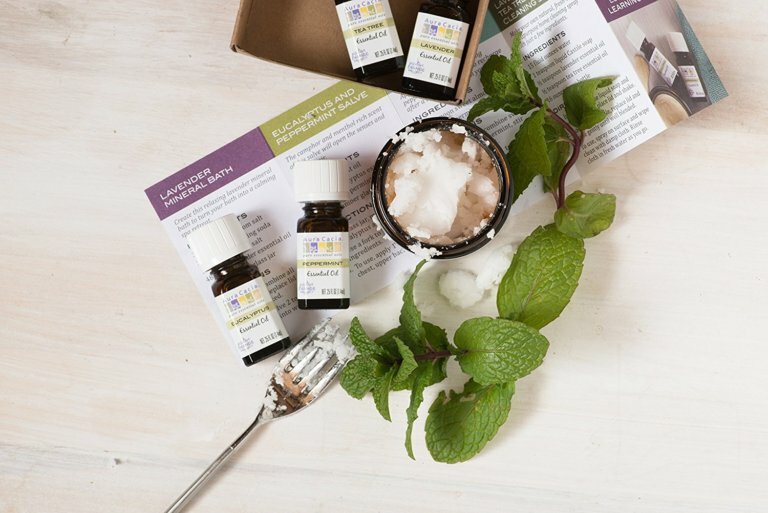 Are you interested in trying out those homemade bug repellent and mosquito bite treatment recipes? 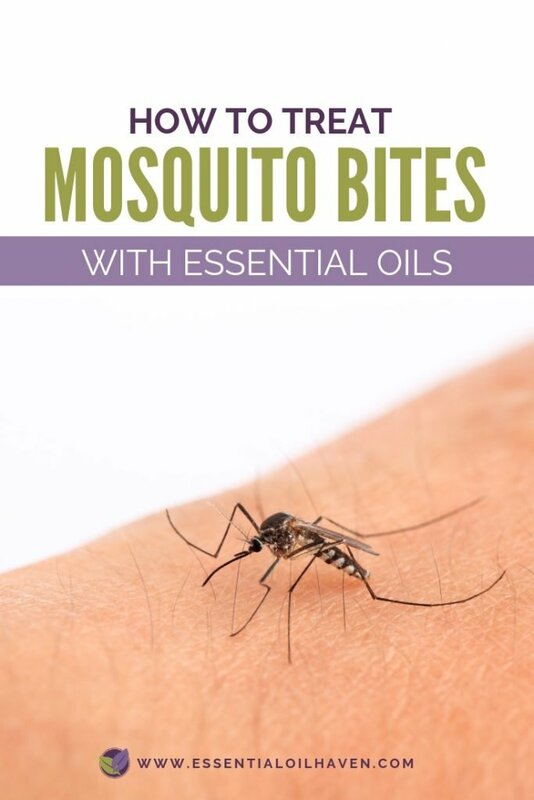 If you know other mixtures or can recommend other essential oil recipes to treat mosquito bites, please don’t hesitate to share them in the comments below. I’d love to know your thoughts. Love This Information? Pin it to Your Favorite Pinterest Board! Hi Karen. Thank you for your comment- it’s a very true observation. In my article “How to clean your essential oil diffuser” here we discussed this issue in a bit more depth (check the comments). It is true that citrus oils can attack the diffuser plastics and alter it, and/or leave lasting scents in the plastics. 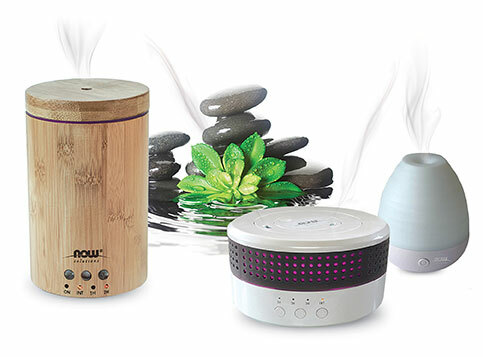 Some people choose to have a diffuser solely for citrus oils, and another for everything else. Hope this helps! I’m interested in making some capsules to help with my cholesterol….any ideas? Hi! Thanks so much for the recipes! Is the bug spray safe to spray on a child’s skin, or should I only use it on their clothing?